This entry was posted in Vintage Pens and tagged Flex Nibs, Handwritten Post, Quotes. Bookmark the permalink. Follow any comments here with the RSS feed for this post. Post a comment or leave a trackback: Trackback URL. I have to say that I seem to prefer just about anything that is cursive italic. As most people admit, it makes my handwriting look much better than it actually is and the line variations and ink shading is deeply pleasing to me. However recently, I acquired at 1955 Montblanc 142 Green Striated FP and Pencil set from Go Pens and I must say that this FP has then nicest medium nib I have ever written with. 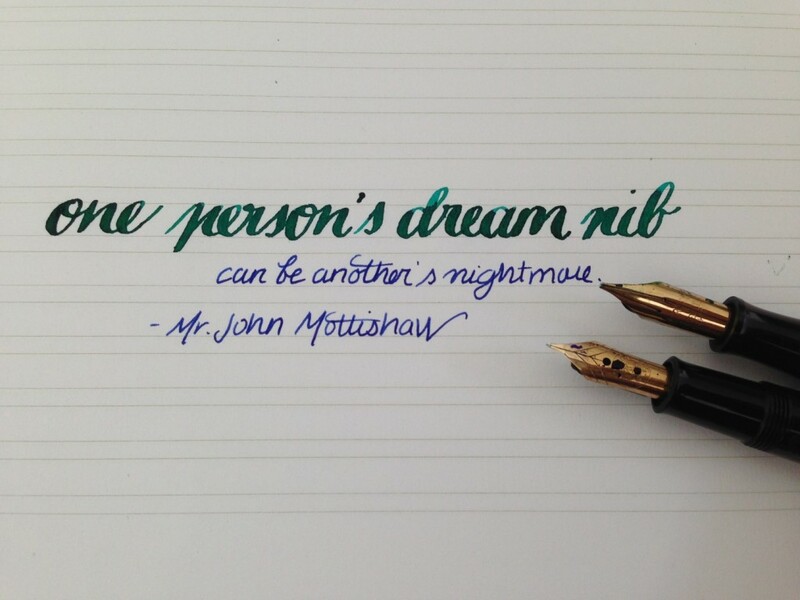 I had no idea that this pen would perform so well and had planned to have it nibmeistered, but there simply is no need.